Should we read the Louise Penny books in order? Reading the Louise Penny books in order involves picking up the popular Canadian crime mystery series involving Chief Inspector Armand Gamache living in Quebec. Here is the list of the Louise Penny Gamache books in order publication, starting with Still Life, her first book in the series, up to the current Kingdom of the Blind, published in 2018. Do note that some of the books have been published under different names in different countries. If the case, then I will list both names for the same novel. The publication year is listed next to each book in the Gamache series. Having read most of the Louise Penny books a while ago, and the latest two only recently, I don’t feel it’s essential to read the Louise Penny books in order – well unless you’re a stickler to reading the book list in chronological order like me, no matter what. They do stand on their own nicely, each with their own plot. The author makes a good job of explaining in each book if anything is important from the past, so you don’t feel overwhelmed with lots of stuff that you should have read before reading the current book. However, for the sake of character development and getting to know them a bit better, I’d say why not – if you can pick up the Louise Penny book list and read each book in order, do it, even if just to learn more about Armand Gamache, his wife, and the Three Pines village a bit more in each book. If you get them out of order though, not such a biggie. As Louise Penny herself put it, it’s not necessary to read previous books – but it is recommended. So check out the Louise Penny reading order above and follow it, including the short novella. Louise Penny was born in 1958 in Toronto, Canada. The love of reading crime mystery books was in the family as her mother would live such novels all the time. Louise enrolled at the Ryerson Polytechnical Institute from where she earned a Bachelor of Applied Arts (Radio and Television). After graduation, she began working as a radio broadcaster for the Canadian Broadcasting Corporation, a position that she had for 18 years. After she got married to Michael Whitehead, head of hematology at Montreal Children’s Hospital, she stopped working, choosing instead to devote her time to writing. 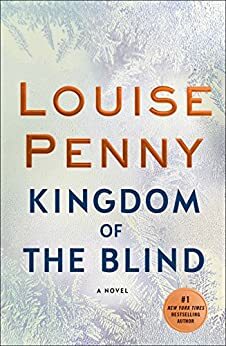 The author’s first book would have been a historical novel, but as she didn’t feel any calling for the genre, she soon switched to crime mystery, a genre that is working for Louise Penny very well even after all these years. In 2013 author Louise Penny was made a Member of the Order of Canada for her important contribution to Canadian culture. This order is only second to the Order of Merit in Canada. The author currently lives in a small village just south of Montreal called Knowlton alone, since her husband died in 2016. Her books won her numerous awards over the year. From 2006 onward she won at least an award, if not more, every single year. Only her first novel, Still Life, won all these awards: the New Blood Dagger award, the Arthur Ellis Award, the 2007 Anthony Award, the Barry Award, and the Dilys Award. 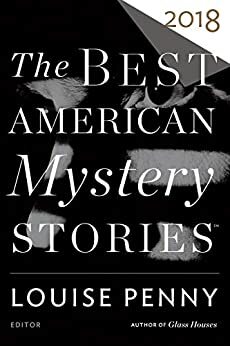 Some books have also earned Louise Penny the Agatha Award and the Macavity Award, and many were nominated for the Edgar Award and the Agatha Award. The Louise Penny books show that serious psychological books can easily hide inside a commercial genre. There is a deeper faith and hope that the author’s book radiate from within. In Louise Penny’s new book, Glass Houses, Armand Gamache, who is by now a Chief Superintendent of the Quebec Provincial Police (Sûreté du Québec), encounters a tall, hooded figure standing unmoving in the greens of the village for three days, a foreboding of something dark and sinister, and a murder of a body discovered by Armand’s own wife, Reine-Marie Gamache, in the church basement. Armand couldn’t do anything to remove the figure because no crime has been committed with regards to it. Next, we meet Armand at the stand testifying about a murder that was committed about the same time the dark figure appeared at the doors of the village. he Three Pines, the idyllic village will be soon shaken by murder, revenge and dark secrets that Armand Gamache must uncover before it’s too late. I loved Glass Houses by Louise Penny, but I have to admit that the first half of the book was not up to the author’s usual standards. However, much to my delight, the pace picked up soon after and I, once again, became enthralled by the Louise Penny’s usual flowing style. Not sure if I mentioned it before, but just recently I got a chance to watch the 2013 Louise Penny movie adaptation by CBS based on her first novel, Still Life. The movie has the same title as the book. The movie featured the village Three Pines, just like the Armand Gamache books, and Armand, of course, was there as well in a leading role cast by Nathaniel Parker. The Still Life movie adaptation turned out to be great, it was a fine translation of the author’s first book in the series. However, for some reason, I expected something a bit more. I can’t put my finger on what that was – maybe the main character’s British accent, which I didn’t feel that was belonging in Canada all that much. Still, it was a darn good movie. And the author Louise Penny being an executive producer for the film I’m sure helped with making it as close as possible to the book a lot. Never thought about it this way, but you do have a very strong point there. I want to meet all these people and go to their village. I don’t want the series to end. Should be out this August. I would appreciate getting the books in order but they are in different order depending on the site you choose. What site has them in the original order. The books are in reading order here. Not sure what other order are you looking for? Absolutely should be read in order, in my opinion. The “big event” in Gamache’s life is frequently referenced in other books and if you don’t know about the warehouse, then you will miss the nuances. Can’t get enough of Chief Inspector Armand Gamache. He is insightful, warm and charming. The Beauvoir character works so well as Gamache’s assistant. Super series. Hopefully a movie or a series on PBS. Forgot to mention the love he has for his wife is to be envied. I have read all 12!!! I am a big fan!!! Loved them all. Need to know, heard somewhere, is their a movie??? Hopefully! Read them in order if you want to get the most out of this wonderful series!! I started out of order because I was told it didn’t matter but quickly realized my mistake. I went back and re-read them starting from the beginning and it was so much better. Especially if you fall in love with Inspector Gamache as I have. It’s a relationship that builds up slowly and you’ll want to savour it right from the start. Which book is about the big shootout in the factory? I just finished ” The Beautiful Mystery ” and it was constantly referenced. It is a sub plot in Bury your Dead! I would disagree about not reading them in order. Things happen during this series that would be “spoiled” if read out of order. The series is amazing and well-written and the characters are amongst the most developed I’ve ever come across.